Cliff is an Up and Coming Writer and decided to offer his first book for free over the holiday weekend. Today is the last day to download it. I did a book review (I believe it was my first) on the book Water Runs Slowly Through Flat Land and I don’t think I gave it much justice (still getting my book reviewer pumps broke in). If you like to read new authors or are interested in the life of a social media journalist, this book is a good read. 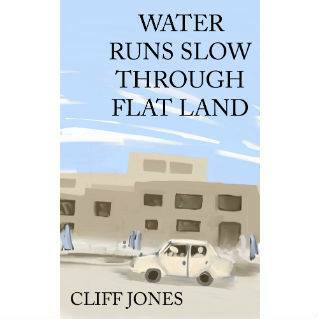 Cliff Jones has worked in the social media journalist field for several years and so his writing comes from a place deep inside him and that place is shared throughout his book. The good times, the bad times, the slow times, the fast times, and the dangerous times. Take a moment to share the support and love for writers and especially for Cliff, he deserves it. I know he has some more books in the works and I, personally, cannot wait to read them.